The U.S. 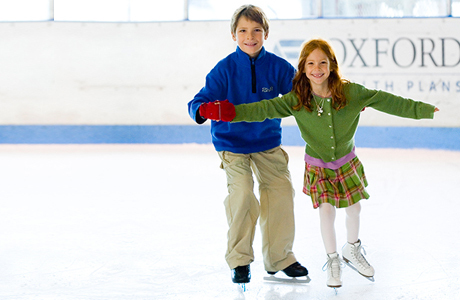 Figure Skating Learn to Skate program was created to be the best beginning ice-skating program in the world. It is designed to serve the needs of both recreational and competitive skaters. The curriculum keeps skaters enthusiastic about learning from the time they begin lessons until the time they reach their goals. 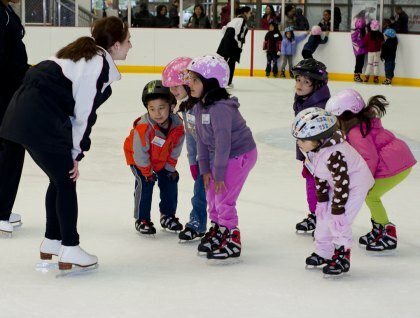 Whether they want Olympic fame or to simply enjoy the recreational benefits of skating, the Learn to Skate Program is the place to start! SnoKing Renton offers Learn to Skate classes as well as private coaching opportunities at the Basic Skill levels, from Snow Plow Sam through Freestyle 6. WHAT: This exciting program consists of Snowplow Sam, Basic Skills, Free Skate, Hockey, Adult, Dance, Synchronized, Pairs, Theatre On Ice, Artistry in Motion, Speed Skating and Special Olympics/Therapeutic group class curricula. Upon completion of each level, the skater should be equipped with the necessary knowledge and technique to advance to the next level. Figure skating is a sport one can participate in individually or as a member of a team, recreationally or competitively, throughout one's life. It is fun, creative and challenging. It involves the development, practice and execution of skills that one progressively learns and builds on over time.Learning skills and mastering those skills is an important part of child development. Over the years, U.S. Figure Skating, through the expertise of its skaters, professionals and judges, and in collaboration with figure skaters throughout the world, has developed practices designed to assist individuals of all ages in learning and mastering skating skills. 9. Discipline your child's behavior when necessary, not their skating. 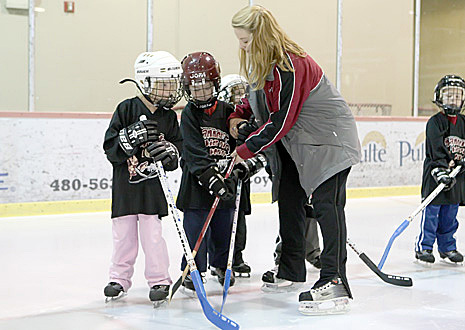 ​Teach your child to care for their equipment and to independently prepare to be on the ice. This includes lacing skates, having the appropriate apparel and a learning attitude!